There are so many ways to cook a fish. We can steam, pan fried, wrap in banana leave and baked in the oven, cook curry style ...so many ways. 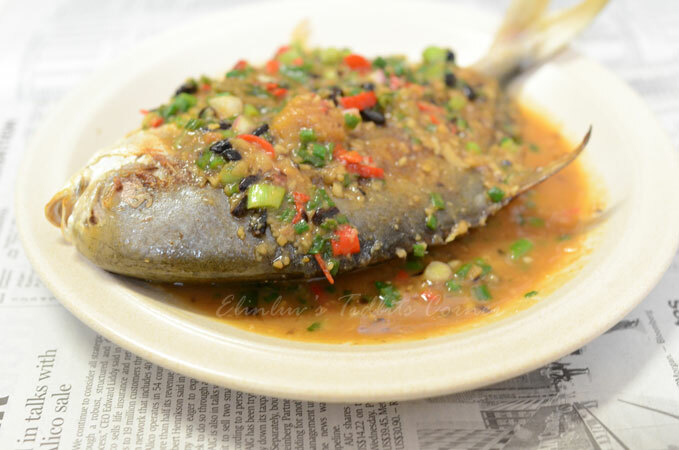 But sometimes , I am just too lazy, so I have the fish pan fried till the sides are crispy and cooked through, dish up and cook a simple savoury sauce to pour over the fried fish. Hubby has no complaint as he doesnt eat fish LOL ! He will just take the sides of the fish ,where there are no bones, and the sauce. 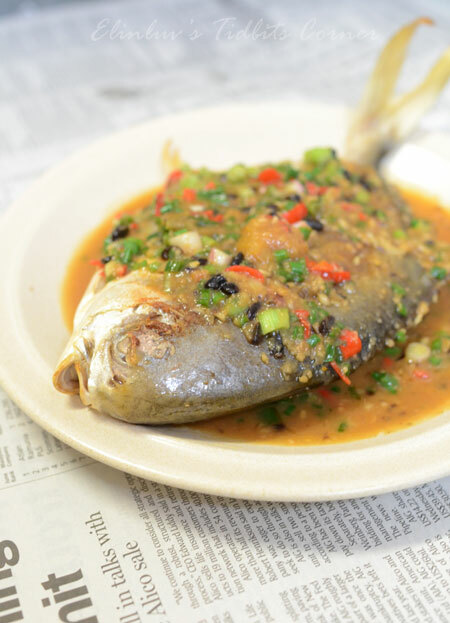 This is one delicious fish dish that is simple to prepare and yet taste delicious. Add 1 tbsp of oil to a non stick pan ( I use Shogun Non Stick Pan ) , when oil is hot , put in the seasoned fish and pan fried till crispy and cook through. Dish up. With the remaining oil, put in all the sauce ingredients and sauted till fragrant. Add in 1/2 cup of water and let the sauce simmer till thicken. Add in the sliced spring onions.Give quick stir and pour the sauce over the fried fish. Serve hot. Note: Using a Shogun Non Stick Pan doesn't use much oil. If you are using other non-stick maybe you need more oil to pan fried the fish.